General building work, industrial roof sheeting & cladding and flat roofing are all services offered by J. Campbell Construction Limited. 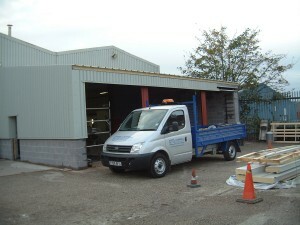 Established in 1985 under the name of J. Campbell Roofing Services we became a Limited Company in 2001. 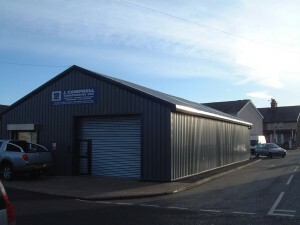 In 2008 following a decision to carry out general building work in addition to industrial roofing and cladding we changed our company name to J. Campbell Construction Limited It was at this time that we moved to our current Head Office at Builder Street, Llandudno. We have extensive knowledge in the Industrial Building sector. Considerable experience has been gained working on many different projects ranging from simple repairs and maintenance through to large scale factory refurbishments that have included the removal of existing asbestos cement roofs which were replaced with ‘Kingspan’ insulated panels. J. Campbell Construction Limited undertake work either as Main Contractor for the Client or as a Specialist Sub-Contractor to a Main Contractor. We undertake work whatever the form of Main Contract. Whether the project is to be carried out as a Design & Build or under the more traditional type of contract including full design with detailed drawings and specification supplied by the Architect and Engineer we can accommodate. We are always looking to improve our service and have recently been able to offer several types of flat roofing (single ply, liquid membranes and G.R.P) to our clients. We undertake work anywhere throughout the UK and have recently completed projects in North Wales, Mid Wales, Cheshire, Merseyside, Shropshire, Lancashire, Greater Manchester, Yorkshire, Warwickshire and Gloucestershire.